Our toughest neck knife yet, this no compromise self-defense knife is crafted from one piece of tempered 1075 high carbon steel. The black epoxy finish protects against rust and the edge comes highly sharpened from the factory. The handle is wrapped with olive drab cord. 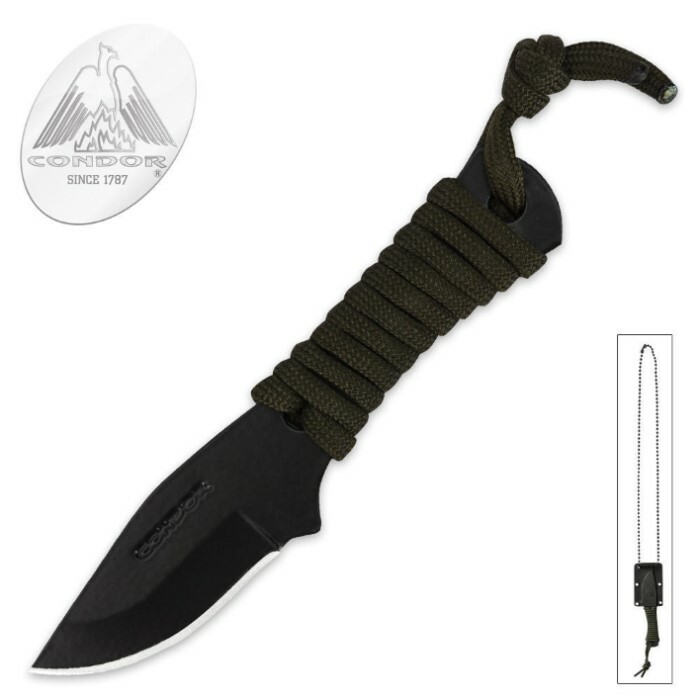 A hard Kydex sheath with ball chain is included for neck carry. 5 in. overall, 2 3/16 in. blade. This blade is small but is very strong and solid. Great for a concealed necklace knife.